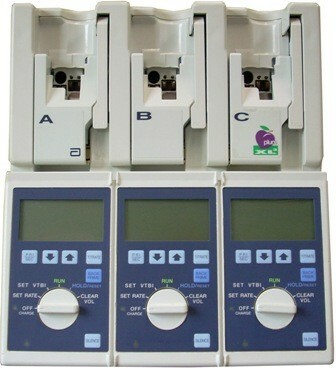 Buy or rent pre-owned, recertified Plum XL Single & Triple Channel Infusion Pumps you need today. All pre-owned medical equipment is patient ready equipment and is covered by an OEM matched warranty. The battery charges whenever the Plum XL Micro/Macro is connected to AC power. If the device is turned to OFF CHARGE, recharge takes approximately eight hours. Recharge takes longer if the device is turned on.